Hallea ciliata Aubrev. et Pellegr. Mitragyna ciliata Aubrev. & Pellegr. The tree reaches a height of 30 m. The bole may be 20 m in length or more, usually free from buttresses, straight and clear. The trunk diameter attains 80 to 150 cm. Hallea ciliata is a gregarious species found in freshwater swamps in rain forests, extending into coastal, semi-deciduous formations. Often reported in mixed stands. 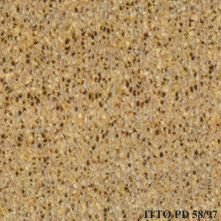 Wood diffuse porous. Occasionally vessels exclusively solitary (over 90%). Vestured pits. Vessels per mm2 more than 20 (very abundant). Simple perforation plates. Vessel-ray pits similar to intervessel pits in size and shape. Intervessel pits medium, 7 to 10 mi Apotracheal axial parenchyma diffuse and/or diffuse in aggregates. Non-crystals in axial parenchyma cells. 5 to 8 cells per parenchyma strand. Rays more than 10 per mm (abundant). Rays non-storied. Rays 1 to 4 seriate. Occasionally silica bodies in the ray cells. Heterogeneous rays and/or multiseriate heterogeneous rays. Non-septate fibers. 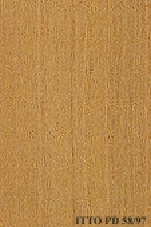 Fibers with distinctly bordered pits. The heartwood is pink beige to pinkish brown, it is not clearly demarcated. The silver figure is fine. Moderately easy to treat with a partial penetration of the preservative products. Ease of Drying: Air drying is reported as fairly rapid. Boards of 13 mm and 38 mm thick take respectively 2.5 months and 3.5 months. Drying Defects: The wood seasons with negligible degrade except for fungal and insect attacks. Severe blunting effect; stellited blades for sawing and carbide tools for machining are recommended.